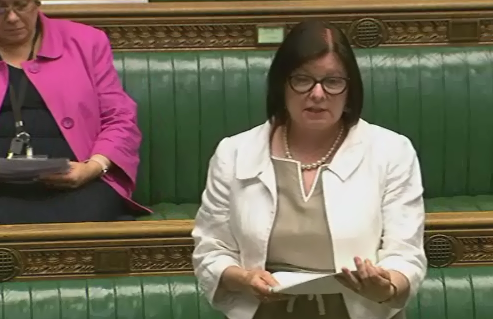 On Wedesnday, I led a debate in Parliament on the future of the Lindisfarne Gospels. The Gospels are a source of great pride for the North East and I was very pleased to be able to underline their historic importance. With the Lindisfarne Gospels Durham exhibition opening on Monday in Durham University’s Palace Green Library this was the perfect time for MPs to speak about their cultural significance. I took this opportunity to press the Culture Minister, Ed Vaizey MP, on whether he would support the regular return of the Gospels to the North East and raised the issue of the price of the exhibition. I have been campaigning to bring the Gospels back to Durham for many years along with other regional parliamentarians, Durham Cathedral, Durham University and other local organisation. I am delighted that they are returning for a major 3 month exhibition and I hope that we will be able to welcome the Lindisfarne Gospels back to their regional home again in the future. “I thank Mr Speaker for granting this debate, which is particularly time-sensitive. It is good to be able to have the debate in advance of the Lindisfarne Gospels’ return to Durham. Let me start by explaining why there is so much excitement in the north-east and Durham, where the Gospels are to be exhibited, about the temporary return of the Lindisfarne Gospels to our region. The book is simply a stunning masterpiece of early mediaeval European book painting and the beautifully illustrated manuscript represents the pinnacle of achievement of Anglo-Saxon Northumbrian art at the end of the seventh century. The Gospels book was made on the holy island of Lindisfarne and was probably written between St Cuthbert’s death in 687 AD and the death of Eadfrith, Bishop of Lindisfarne, who was identified as the artist and scribe of the book by Aldred, the provost of the monastic community of St Cuthbert at Chester-le-Street. A recent study suggested a date for the Gospels of between 710 and 720 AD. The making of the book required time, dedication and the invention of new tools and materials. With no modern technology at his disposal, Eadfrith is credited with inventing some of his own gadgets to help. Professor Michelle Brown, an expert in mediaeval manuscript studies at the University of London’s schools of advanced study, stated that Eadfrith“ was a technical innovator who invented the pencil and the light box in order to achieve his complex artistic and social vision”. The book is the oldest surviving translation of the gospels into the English language, but it is worth recognising that the Lindisfarne Gospels’ intricate and symbolic artwork helped convey its message to those who could not read. The Gospels were created at a time of great change when Britain was a land of many cultures that were coming together into an emerging national identity. The manuscript is inspired by all the different peoples who lived in these islands at the time: Britons, Picts, Celts and Anglo-Saxons, along with those of Mediterranean and middle-eastern cultures. Another extraordinary aspect of the Gospels is that unlike most early mediaeval books this one has come to us in almost perfect condition. That is, frankly, remarkable, considering that it was written about 1,300 years ago and the eventful journey it has been on ever since. The first Viking raid on Britain struck Lindisfarne in 793 AD. After nearly 100 years of continuing raids, the monastic community abandoned Lindisfarne in 875, taking with them the body of St Cuthbert, the Gospels and other important relics. The Lindisfarne community is believed to have travelled around for seven years before eventually settling at the priory at Chester-le-Street, where they stayed until 995. They then moved to Durham priory with the relics of St Cuthbert, after the dead saint revealed to one of the monks where he wanted his new resting place to be. In 1069, the Lindisfarne Gospels spent a short time back at Lindisfarne to escape the devastating raid on the north by William the Conqueror. The book was then returned to Durham. In 1104, St Cuthbert’s body and other monastic treasures from Lindisfarne were moved to the splendid new cathedral at Durham. However, in 1536 the dissolution of the monasteries was ordered by Henry VIII. The priories of Lindisfarne and Durham were broken up and the Gospels were believed to have been seized by the King’s commissioners. By the early 17th century, the Lindisfarne Gospels were owned by Sir Robert Cotton. Cotton’s heirs presented the book to the nation and it became part of the founding collections of the British Museum in 1753. In 1973, the Lindisfarne Gospels became part of the British Library, their current permanent resting place. This is only the fifth time the Gospels have been loaned since coming into the hands of the British Museum and later the British Library. Except for a museum evacuation during world war two, all the loans were for major library and museum tours undertaken within the past 50 years: at the Royal Academy in 1961, in Durham cathedral in 1987, and at the Laing art gallery in Newcastle in 1996 and 2000. It took nearly two years of negotiations, planning, organisation and effort to bring the Gospels to the region on the last two visits. On the first day of the exhibition, almost 3,000 people came along to see the Gospels, which demonstrates huge interest from the region. What has happened since the last visit? A condition survey by the British Library in 2004 suggested that it might be difficult to move the Gospels again, but the findings of the survey were far from conclusive. There followed a fervent campaign, led first by the Northumbrian Association—I take the opportunity to thank the late John Danby for his work; he is much missed—and by my hon. Friends the former Member for Houghton and Washington East, Fraser Kemp, Baroness Quin, the former Member for Stockton South, Dari Taylor, my hon. Friends the current Members for Washington and Sunderland West (Mrs Hodgson) and for North Durham (Mr Jones), and me. I first raised the question of what was to happen to the Gospels when I was elected in 2005 and put down an early-day motion on the subject. I then wrote to key agencies, including the British Library, Durham cathedral and museum services. We constantly badgered the British Library to consider a permanent move for the Gospels to the north-east, and if that was not possible we called for a temporary move. We also lobbied our Government on the matter, and the then culture Minister, my right hon. Friend the Member for Tottenham (Mr Lammy), intervened on our behalf. It was difficult, but that lobbying persuaded the British Library to commission an independent expert review into the future of the Gospels in 2006. In 2009, the panel reported back, recommending that, with great care, the books could be loaned for three months every seven years. The review set out the conditions and criteria that would need to be met for the Gospels to be loaned out, to preserve the quality and condition of the book. It was agreed in 2009 by the British Library and the Association of North East Councils that Durham would be the first place the Gospels visited under the new arrangements. It took some time and forbearance, but we are all pleased that all the partners exhibiting the Gospels in the north-east for three months from this weekend, especially Durham university and Durham cathedral, managed to persuade the British Library that suitable conditions in the north-east could be created to house the Gospels adequately. The exhibition has been made possible by the close partnership working between the British Library, Durham cathedral, Durham county council and Durham university, as well as the long-standing and continued support from parliamentarians. Together with the Lindisfarne Gospels, the British Library is lending five other precious manuscripts for the exhibition, including the 7th century St Cuthbert Gospel. These manuscripts and artefacts have not been seen together since the Reformation, and they will be exhibited in the newly refurbished Wolfson gallery in the Palace Green library of the University of Durham. The university is to be commended for the simply amazing space it has created to show the Gospels. The British Library has worked closely with the university and the cathedral to ensure that the Palace Green library meets the requirements for lending the Lindisfarne Gospels for exhibition display, and that that complies with the report by the panel of independent experts. The exhibition is the centrepiece of the festival around the Lindisfarne Gospels, and we hope that it will attract many people to the history and heritage of the region, as well as the Gospels themselves. To that end, I am grateful to the Heritage Lottery Fund for providing a grant of £487,000 to Durham university. I thank the Heritage Lottery Fund for its grant, which has helped the university to run an outreach project alongside the exhibition. The manuscript is one of the most important books in the British Library’s collection, but it is also a treasure of world culture, and it is a symbol of our region’s proud past and the cultural legacy that it has created for the nation. That was recognised by the Prime Minister, who when visiting Northern Ireland in 2011 described the Lindisfarne Gospels as “a British national treasure”. The East Coast Mainline, which the Government announced will be re-privatised by 2015, is vital for the connectivity of Durham, with many of my constituents being regular users of the service. I am also a frequent passenger on the line, travelling between Westminster and my constituency, and I have generally been pleased by the speed, punctuality and comfort of East Coast and the high standard of service and professionalism of its staff since it took over from National Express in 2009. And I am not alone in thinking this. 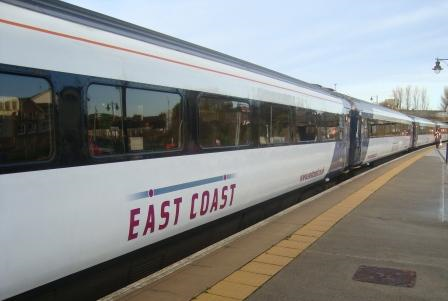 The most recent survey by the independent consumer group Passenger Focus found that 92% of passengers were satisfied with their experience on East Coast. To put this into perspective: this is the highest level of customer satisfaction recorded on the line since these surveys began in 1999, as well as being three percentage points higher than the national average for long-distance operators. Improved passenger satisfaction only tells half of the story; East Coast has also managed to improve punctuality and safety, and has seen increased employee engagement. What’s more, it is returning more money to the Government than any previous operator – over £600 million since the start of the franchise and £800 million projected by the end of the financial year. In comparison, Virgin Trains on the West Coast Mainline returned just £391.7 million to the Government in the same period. Moreover, with no shareholders to appease, all of East Coast’s profits are pumped straight back into improving the service. It is clear that the line is well-run, profitable and popular with passengers. Why, then, is the Government insisting on selling off the franchise, while at the same time extending the contracts for other, less successful operators? Tory MPs have said that East Coast is simply ‘treading water’, which is rather an amazing claim to make considering that the franchise has consistently made improvements year on year. The Minister of State for Transport, Simon Burns MP, recently stated that East Coast has provided the foundations for a private company to come in with ‘certainty of ownership [and] longer planning horizons’ in order to improve the service. In my view, this begs the question of how successful East Coast would have been with the same level of franchise security. It is also a fallacy to think that re-privatising the line will see an increase in investment. Given the nature of Britain’s railway system, it is Network Rail, not the Train Operating Companies (TOCs) who provide almost all of the investment into rail infrastructure. As Network Rail is publicly-owned, this means that in reality that it is the Government, and by extension the taxpayer, who foots the bill. On the East Coast Mainline, Network Rail will undertake infrastructure improvements between 2014 and 2019 irrespective of the operator of the line. The Lib Dem/Tory Government is quick to say that when Labour set up Directly Operated Railways (East Coast’s parent company) in 2009, after privately-owned National Express walked away from the franchise, it was purely as a stop-gap. This was certainly true at the time. However, since then, Labour has seen that the franchise is working for both passengers and Government. It seems illogical to change something that is performing so well, particularly when it provides a useful comparator to measure the performance of private operators against. At the very least, the Government should amend the Railways Act 1993 and allow Directly Operated Railways to submit a bid for the new franchise. It seems almost perverse that state-owned companies from France, Germany and the Netherlands currently operate ten out of the 17 privately-run UK rail franchises, thus subsidising rail fares on the continent, yet public companies from Britain are not even allowed to bid. It is irresponsible to play politics with vital public services such as the railways. By timetabling the refranchising for three months before the next election, thus ensuring the next Government will be left with a contract that is too costly to cancel, and extending the contracts of other operators – some for up to 50 months – this Government is doing just that. It is clear to me that the Tories and Lib Dems have got their plans for rail on completely the wrong track. Earlier today I spoke in a debate on this issue, along with a number of my North-East colleagues, and voiced my concerns about the significant impact that this decision will have on our region. Tomorrow, I will be at Durham Railway Station along with other Durham MPs, members of the local Labour Party and rail union members campaigning against the Government’s ideologically-driven decision to re-privatise the East Coast Mainline. Other protests will take place at stations up and down the line. I hope many of you will be able to come along and show your displeasure at this ill-considered policy.